Power hermetic subminiature D feedthroughs are available in 3 and 5 pin configurations mounted on standard D15 and D25 shell sizes, respectively. 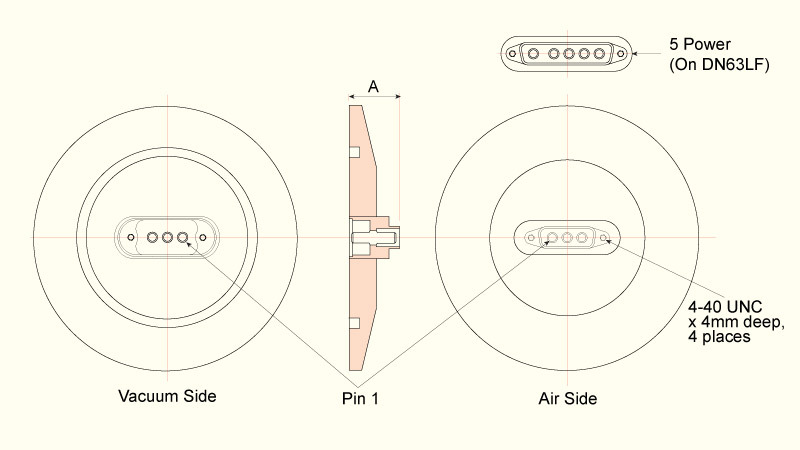 These pin arrangements are designed to meet IEC 807-2 and DESC 85039 specifications. Straight through pins are hermetically sealed and electrically insulated in a stainless steel shell using the latest in glass ceramic bonding technology. Ultrahigh vacuum cable assemblies with PEEK3 connectors and Kapton® insulated cables are available to meet the demands of UHV environments. The connection accessories must be purchased separately. Vacuum side cable assemblies, individual connectors and other accessories are detailed overleaf. Custom subminiature D power feedthrough products are available upon request. 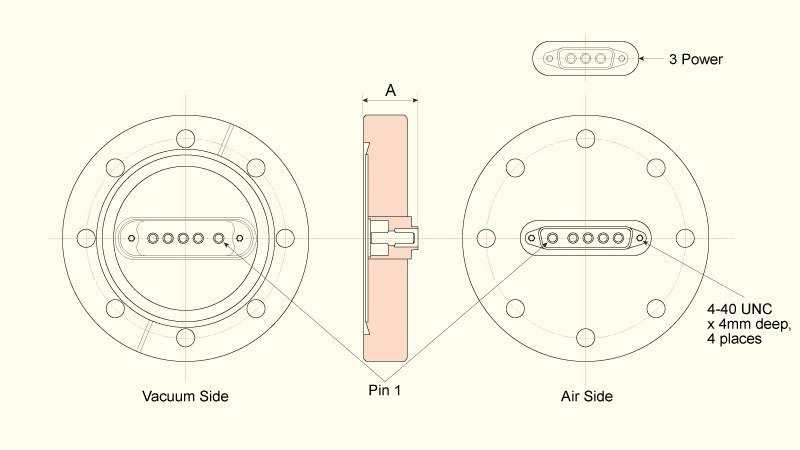 • 3 or 5 pin configuration. • Air and vacuum side connectors available. Pin  :  Gold plated Ni-Fe alloy. 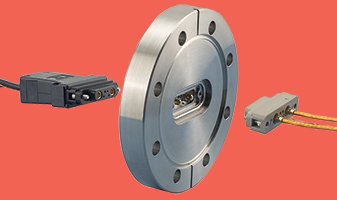 intended for instrumentation applications carrying low level signal voltages and currents.